The first step in getting your business on-line is to procure Internet access for yourself. Today, there are many available options. There are a few ways of getting Internet access for free. Let’s assume you at least own a late model laptop. Laptops have three components that provide an external connection; a telephone MODEM using an RJ-11 (6 pin) female connector, a Local Area Network (LAN) using an RJ-45 (8 pin) female connector, sometimes called a CAT5 connector, and a 802.11 wireless connection called “WIFI”. NETZERO offers 10 hours of Internet usage a month for free using a dialup MODEM heavily pushing advertising. Many hotels, restaurants, libraries, airports, and government offices offer free WIFI connections. With a connection, you can procure free email accounts from web portal sites like, Yahoo, Microsoft, or Google. If you acquire an email address from Microsoft, it will be in the form of somewhatuniqueusername@MSN.com . As a business, it is not the smartest marketing tool, but its a start. An email address is a unique identifier. Many websites that require registration use email addresses as a user ID, so they can have immediate marketing access. You will want to have multiple email addresses. Many content providers REQUIRE a verified email address in order to grant access to their content. They then use that email address to send marketing messages to you. Use one of your email addresses for the general public and questionable website registrations, one email address for ‘trusted’ registrations like your bank or credit card provider, and one email address for friends, family, and business. After a while you will be overcome by the quantity of unwanted emails or “spam” from your ‘public’ email address. A software application exists called a “web crawler”. A web crawler attempts to read every page on the Internet, looking for any kind of usable information. Many different entities employ crawlers, most notably search engines like Google and Bing. More nefarious entities use a web crawler to harvest info like email addresses, FAX numbers, telephone numbers, and names with addresses. If your email address is ever found on a web page, eventually it will make its way into the hands of a spam-mer. Some unscrupulous WIFI providers glean email addresses transmitted on their networks and sell them to “mass marketers”. To keep track of your email addresses, user IDs, and passwords, purchase a “little black book”. Record all of your email addresses, user-names, passwords, and their associated website addresses. Guard this book well. Placing sensitive information in one place, though convenient, is dangerous. Dial-Up is one of the most economical and universally available access methods. Attach a computer MODEM to an active telephone line. The MODEM converts the digital info into audible ‘squawks’. Purchase a subscription from many possible providers for as low as ten dollars a month. The subscription usually comes with an email address. It will be in the form of username@isprovider.net . 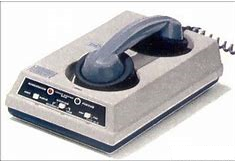 A dial-up connection can be made on any telephone line. You might have to pay long distance charges if a local access number is not available. The transmission speed of dial-up is up to 5,600 characters a second or 56Kbs. Assume one character requires ten bits. Many dialup connections could be as slow as 2,000 characters per second. Many web home pages contain up to five million characters. Expect long delays when loading complex web pages if you subscribe to a low cost dial-up Internet Service Provider. Local phone companies offer high speed Internet access over regular phone lines called DSL. DSL can transmit from one million to ten million characters per second, though the nominal speed is more like 250,000 to 500,000 characters per second. Subscription costs range from twenty to sixty dollars per month. The subscriber must reside less than two miles from the company’s switch. Increasingly, “loop extenders” are being constructed to provide DSL to outlying suburbs. The line’s data speed is directly correlated to the distance from the subscriber’s DSL MODEM and the BOC’s (Bell Operating Company) switch as well as the quality of the copper twisted pair of wires the signal travels on. Voice communications can be carried on a twisted pair for almost an unlimited distance, as voice is voltage dependent. Digital is more frequency dependent, which degrades over distance. This is why DSL is not available in most rural areas. Theoretically, there is little difference in the top transmission speed of DSL or Cable. Cable also has the same distance problem as DSL. But unlike a twisted pair, which is a balanced line, cable which is an unbalanced line, can apply more power to the signal. Cable can also run multiple DSL paths. The Cable infrastructure takes these advantages into account. Telco DSL must deal with aging copper wires and environmental noise. Cable systems have built-in amplification and is supposedly a closed coaxial system to limit noise. Unlike DSL, Cable carries all the packets through the entire system. With Cable, It is possible to “read the mail” of your neighbors. The more users on the Cable system the slower your speed. Telco DSL moves only your data from their switch to your DSL MODEM, so it is more secure and private. Subscription costs vary from forty dollars to eighty dollars. Because of the cleaner system, nominal speeds range from 250,000 characters to 850,000 characters per second. Some cable companies are marketing business Internet access with speeds over ten million characters per second. Need more speed? The phone company can use multiple twisted pairs to incrementally increase you transmission speed from 150,000 characters per second to five million characters per second. T1 lines are specifically designed for data. Today, a “T1” or “E” line is most likely a fiber optic bundle at the street. The phone company markets a nominal data transmission speed. The salesman will quote speeds based on theory. The company’s lineman will connect you with a speed based on the existing infrastructure’s capability. Baseband is expensive, and in many areas, unreliable if the constructed “T1” is made up of twisted pairs that over time were abandoned as bad. This entry was posted in The World Wide Web by KenG. Bookmark the permalink.